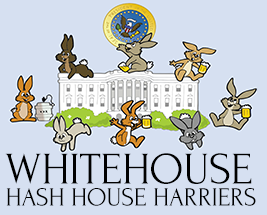 The White House Hash House Harriers from northern Virginia/DC are hosting a campout in Rileyville, Virginia during the weekend of 28-30 July 2017. Titled “The Horniest Place on Earth: EpcoXXX Center 2017”, the WH4 celebrate 30 years of being “the Most Magical Hash in the World”, or, I suppose, 30 years of hashing in the DC area. Registration opens on 17th March 2017 at 6PM (as of this writing, that’s today!). Campout location will be the Downriver Canoe Company Campground in Rileyville, Virginia. Go to Hash Rego to sign up. This entry was posted in campout, events and tagged camping, campout, usa, virginia, washington dc, wh4, white house hash house harriers on 2017-03-17 by treed.